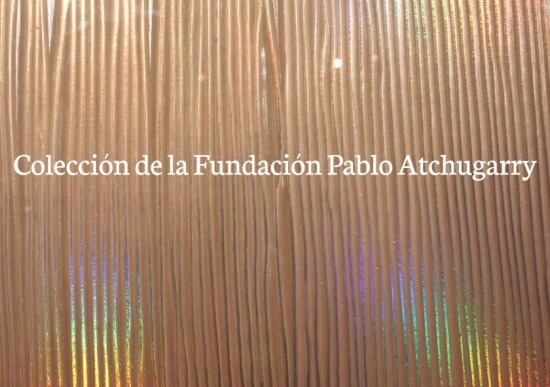 Fundación Pablo Atchugarry presents an exhibition of works by artists that are part of its permanent collection. In this show the line takes up a predominant role in the work of national as well as international artists. In the beginning one can appreciate the work of a group of artists that represent national geometric art, loaded with signs and where the line takes up a self-referential character. Then the line, spatially, takes up constructive aspects and concepts based in the Bauhaus movement with Octavio Podestá, and referential to informalist art with Enrique Broglia. With the Argentinean artist Elly Madoery it acquires sensuality and with the Japanese artist Yoshin Ogata it assumes a balanced and spiritual character. Both works represent the trend towards purist art. Further ahead, the line is applied to represent myths and their own destruction, generating spaces that signify more than what they show, planes and idealized architectonic constructions, and empty spaces where all content has been removed. In this case, the visitor has the responsibility of projecting onto those empty spaces personal images. To finalize, the line turns conceptual and represents more unstable dimensions than the human eye can capture. Minimalist art, op art, and visceral art, that references artists such as Joseph Beuys in the case of Peter Weber, and Lucio Fontana in the case of Riccardo de Marchi, this room represents the avant-garde of postmodern art.